This Volkswagen Beetle Convertible delivers a Intercooled Turbo Regular Unleaded I-4 2.0 L/121 engine powering this Automatic transmission. STONEWASHED BLUE W/BLACK ROOF, CORNSILK BEIGE/TITAN BLK, RHOMBUS CLOTH SEATING SURFACES, Window Grid Diversity Antenna. This Volkswagen Beetle Convertible Features the Following Options Wheels: 7J x 17 Knoxville Alloy, Wheels w/Silver Accents, Trunk Rear Cargo Access, Trip Computer, Transmission: 6-Speed Automatic w/Tiptronic, Tires: P215/55R17 AS, Tailgate/Rear Door Lock Included w/Power Door Locks, Systems Monitor, Strut Front Suspension w/Coil Springs, Streaming Audio. Visit Us Today Live a little- stop by Sherwood Park Volkswagen located at 2365 BROADMOOR BLVD, SHERWOOD PARK, AB T8H 1N1 to make this car yours today! This Volkswagen Beetle Convertible boasts a Intercooled Turbo Regular Unleaded I-4 2.0 L/121 engine powering this Automatic transmission. Window Grid Diversity Antenna, Wheels: 7J x 17 Knoxville Alloy, Wheels w/Silver Accents. This Volkswagen Beetle Convertible Comes Equipped with These Options Trunk Rear Cargo Access, Trip Computer, Transmission: 6-Speed Automatic w/Tiptronic, Tires: P215/55R17 AS, Tailgate/Rear Door Lock Included w/Power Door Locks, Systems Monitor, Strut Front Suspension w/Coil Springs, Streaming Audio, Steel Spare Wheel, Single Stainless Steel Exhaust. Stop By Today Test drive this must-see, must-drive, must-own beauty today at Sherwood Park Volkswagen, 2365 BROADMOOR BLVD, SHERWOOD PARK, AB T8H 1N1. This Volkswagen Jetta boasts a Intercooled Turbo Regular Unleaded I-4 1.4 L/85 engine powering this Automatic transmission. Window Grid Diversity Antenna, Wheels: 17 x 7J Tornado Diamond Alloy, Trunk Rear Cargo Access. This Volkswagen Jetta Features the Following Options Trip Computer, Transmission: 8-Speed Automatic w/Tiptronic -inc: Remote Start, Torsion Beam Rear Suspension w/Coil Springs, Tires: 205/55R17 All Season, Strut Front Suspension w/Coil Springs, Steel Spare Wheel, Single Stainless Steel Exhaust, Side Impact Beams, Side Curtain Protection Curtain 1st And 2nd Row Airbags, Seats w/Leatherette Back Material. Stop By Today Come in for a quick visit at Sherwood Park Volkswagen, 2365 BROADMOOR BLVD, SHERWOOD PARK, AB T8H 1N1 to claim your Volkswagen Jetta! This Volkswagen Jetta delivers a Intercooled Turbo Regular Unleaded I-4 1.4 L/85 engine powering this Automatic transmission. Window Grid Diversity Antenna, Wheels: 17 x 7J Tornado Diamond Alloy, Trunk Rear Cargo Access. This Volkswagen Jetta Comes Equipped with These Options Trip Computer, Transmission: 8-Speed Automatic w/Tiptronic -inc: Remote Start, Torsion Beam Rear Suspension w/Coil Springs, Tires: 205/55R17 All Season, Strut Front Suspension w/Coil Springs, Steel Spare Wheel, Single Stainless Steel Exhaust, Side Impact Beams, Side Curtain Protection Curtain 1st And 2nd Row Airbags, Seats w/Leatherette Back Material. Visit Us Today Test drive this must-see, must-drive, must-own beauty today at Sherwood Park Volkswagen, 2365 BROADMOOR BLVD, SHERWOOD PARK, AB T8H 1N1. This Volkswagen Golf boasts a Intercooled Turbo Regular Unleaded I-4 1.8 L/110 engine powering this Automatic transmission. Wheels: 17 Karlskoga Alloy, Wheels w/Silver Accents, Vienna Leather Seating Surfaces. This Volkswagen Golf Comes Equipped with These Options Valet Function, Trip Computer, Transmission: 6-Speed Automatic w/Tiptronic -inc: sport mode, Tires: P225/45R17 AS, Tailgate/Rear Door Lock Included w/Power Door Locks, Systems Monitor, Strut Front Suspension w/Coil Springs, Steel Spare Wheel, Speed Sensitive Rain Detecting Variable Intermittent Wipers w/Heated Jets, Smart Device Integration. Stop By Today Treat yourself- stop by Sherwood Park Volkswagen located at 2365 BROADMOOR BLVD, SHERWOOD PARK, AB T8H 1N1 to make this car yours today! This Volkswagen Golf boasts a Intercooled Turbo Regular Unleaded I-4 1.4 L/85 engine powering this Manual transmission. Wheels: 17 x 7J Karlskoga Alloy, Wheels w/Silver Accents, Valet Function. This Volkswagen Golf Features the Following Options Trip Computer, Transmission: 6-Speed Manual, Tires: 225/45R17 91H AS, Tailgate/Rear Door Lock Included w/Power Door Locks, Systems Monitor, Strut Front Suspension w/Coil Springs, Streaming Audio, Steel Spare Wheel, Speed Sensitive Rain Detecting Variable Intermittent Wipers w/Heated Jets, Single Stainless Steel Exhaust. Stop By Today Stop by Sherwood Park Volkswagen located at 2365 BROADMOOR BLVD, SHERWOOD PARK, AB T8H 1N1 for a quick visit and a great vehicle! This Volkswagen Beetle Convertible boasts a Intercooled Turbo Regular Unleaded I-4 2.0 L/121 engine powering this Automatic transmission. Window Grid Diversity Antenna, Wheels: 7J x 17 Knoxville Alloy, Wheels w/Silver Accents. This Volkswagen Beetle Convertible Features the Following Options Trunk Rear Cargo Access, Trip Computer, Transmission: 6-Speed Automatic w/Tiptronic, Tires: P215/55R17 AS, Tailgate/Rear Door Lock Included w/Power Door Locks, Systems Monitor, Strut Front Suspension w/Coil Springs, Streaming Audio, Steel Spare Wheel, Single Stainless Steel Exhaust. Stop By Today Come in for a quick visit at Sherwood Park Volkswagen, 2365 BROADMOOR BLVD, SHERWOOD PARK, AB T8H 1N1 to claim your Volkswagen Beetle Convertible! This Volkswagen Beetle Convertible delivers a Intercooled Turbo Regular Unleaded I-4 2.0 L/121 engine powering this Automatic transmission. TITAN BLACK/TITAN BLACK, DIAMOND STITCHED LEATHER SEATING SURFACES, STYLE PACKAGE -inc: LED Rear License Plate Illumination, Front Fog Lights, static cornering lights, Heated Front Sport Seats, Wheels: 18 Disc Alloy, Bi-Xenon Headlights, LED DRLs, LED Tail Lights, Headlight Range Adjustment, Tires: P235/45R18 AS, SAFARI UNI W/BLACK ROOF. This Volkswagen Beetle Convertible Features the Following Options Wheels: 7J x 17 Knoxville Alloy, Wheels w/Silver Accents, Trunk Rear Cargo Access, Trip Computer, Transmission: 6-Speed Automatic w/Tiptronic, Tires: P215/55R17 AS, Tailgate/Rear Door Lock Included w/Power Door Locks, Systems Monitor, Strut Front Suspension w/Coil Springs, Streaming Audio. Visit Us Today For a must-own Volkswagen Beetle Convertible come see us at Sherwood Park Volkswagen, 2365 BROADMOOR BLVD, SHERWOOD PARK, AB T8H 1N1. Just minutes away! This Volkswagen Beetle Convertible boasts a Intercooled Turbo Regular Unleaded I-4 2.0 L/121 engine powering this Automatic transmission. Window Grid Diversity Antenna, Wheels: 7J x 17 Knoxville Alloy, Wheels w/Silver Accents. This Volkswagen Beetle Convertible Features the Following Options Trunk Rear Cargo Access, Trip Computer, Transmission: 6-Speed Automatic w/Tiptronic, Tires: P215/55R17 AS, Tailgate/Rear Door Lock Included w/Power Door Locks, Systems Monitor, Strut Front Suspension w/Coil Springs, Streaming Audio, Steel Spare Wheel, Single Stainless Steel Exhaust. Visit Us Today Come in for a quick visit at Sherwood Park Volkswagen, 2365 BROADMOOR BLVD, SHERWOOD PARK, AB T8H 1N1 to claim your Volkswagen Beetle Convertible! This Volkswagen Beetle Convertible delivers a Intercooled Turbo Regular Unleaded I-4 2.0 L/121 engine powering this Automatic transmission. Window Grid Diversity Antenna, Wheels: 7J x 17 Knoxville Alloy, Wheels w/Silver Accents. This Volkswagen Beetle Convertible Comes Equipped with These Options Trunk Rear Cargo Access, Trip Computer, Transmission: 6-Speed Automatic w/Tiptronic, Tires: P215/55R17 AS, Tailgate/Rear Door Lock Included w/Power Door Locks, Systems Monitor, Strut Front Suspension w/Coil Springs, Streaming Audio, Steel Spare Wheel, Single Stainless Steel Exhaust. Stop By Today Come in for a quick visit at Sherwood Park Volkswagen, 2365 BROADMOOR BLVD, SHERWOOD PARK, AB T8H 1N1 to claim your Volkswagen Beetle Convertible! This Volkswagen Beetle Convertible delivers a Intercooled Turbo Regular Unleaded I-4 2.0 L/121 engine powering this Automatic transmission. WHITE SILVER METALLIC W/BLACK ROOF, DARK CERAMIQUE/CURRY, 2-TONE CLOTH & LEATHERETTE SEATING SURFACES -inc: black leatherette bolsters and surrounds and Curry yellow piping and stitching, Window Grid Diversity Antenna. This Volkswagen Beetle Convertible Features the Following Options Wheels: 8J x 18 Canyon Alloy, Wheels w/Machined w/Painted Accents Accents, Trunk Rear Cargo Access, Trip Computer, Transmission: 6-Speed Automatic w/Tiptronic -inc: sport mode, Tires: P235/45R18 AS, Tailgate/Rear Door Lock Included w/Power Door Locks, Strut Front Suspension w/Coil Springs, Streaming Audio, Steel Spare Wheel. Stop By Today Stop by Sherwood Park Volkswagen located at 2365 BROADMOOR BLVD, SHERWOOD PARK, AB T8H 1N1 for a quick visit and a great vehicle! This Volkswagen Beetle Convertible boasts a Intercooled Turbo Regular Unleaded I-4 2.0 L/121 engine powering this Automatic transmission. Window Grid Diversity Antenna, Wheels: 8J x 18 Canyon Alloy, Wheels w/Machined w/Painted Accents Accents. This Volkswagen Beetle Convertible Features the Following Options Trunk Rear Cargo Access, Trip Computer, Transmission: 6-Speed Automatic w/Tiptronic -inc: sport mode, Tires: P235/45R18 AS, Tailgate/Rear Door Lock Included w/Power Door Locks, Strut Front Suspension w/Coil Springs, Streaming Audio, Steel Spare Wheel, Single Stainless Steel Exhaust, Side Impact Beams. Stop By Today Test drive this must-see, must-drive, must-own beauty today at Sherwood Park Volkswagen, 2365 BROADMOOR BLVD, SHERWOOD PARK, AB T8H 1N1. This Volkswagen Beetle Convertible boasts a Intercooled Turbo Regular Unleaded I-4 2.0 L/121 engine powering this Automatic transmission. DEEP BLACK PEARL W/BLACK ROOF, DARK CERAMIQUE/CURRY, 2-TONE CLOTH & LEATHERETTE SEATING SURFACES -inc: black leatherette bolsters and surrounds and Curry yellow piping and stitching, Window Grid Diversity Antenna. This Volkswagen Beetle Convertible Comes Equipped with These Options Wheels: 8J x 18 Canyon Alloy, Wheels w/Machined w/Painted Accents Accents, Trunk Rear Cargo Access, Trip Computer, Transmission: 6-Speed Automatic w/Tiptronic -inc: sport mode, Tires: P235/45R18 AS, Tailgate/Rear Door Lock Included w/Power Door Locks, Strut Front Suspension w/Coil Springs, Streaming Audio, Steel Spare Wheel. 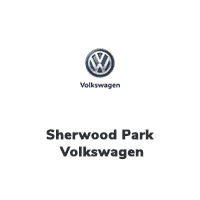 Stop By Today A short visit to Sherwood Park Volkswagen located at 2365 BROADMOOR BLVD, SHERWOOD PARK, AB T8H 1N1 can get you a reliable Beetle Convertible today! This Volkswagen Jetta boasts a Intercooled Turbo Regular Unleaded I-4 1.4 L/85 engine powering this Automatic transmission. WHITE SILVER METALLIC, TITAN BLK & ANTLER BEIGE, LEATHER SEATING SURFACES, ENGINE BLOCK HEATER. This Volkswagen Jetta Features the Following Options DRIVER ASSISTANCE PACKAGE -inc: Adaptive Cruise Control, stop and go, Light Assist (Automatic High Beam Control), Blind Spot Detection w/Rear Traffic Alert Include lane assist, Front Assist w/Autonomous Emergency Braking , Window Grid Diversity Antenna, Wheels: 17 x 7J Tornado Diamond Alloy, Trunk Rear Cargo Access, Trip Computer, Transmission: 8-Speed Automatic w/Tiptronic -inc: Remote Start, Torsion Beam Rear Suspension w/Coil Springs, Tires: 205/55R17 All Season, Strut Front Suspension w/Coil Springs, Steel Spare Wheel. Stop By Today For a must-own Volkswagen Jetta come see us at Sherwood Park Volkswagen, 2365 BROADMOOR BLVD, SHERWOOD PARK, AB T8H 1N1. Just minutes away! This Volkswagen Jetta delivers a Intercooled Turbo Regular Unleaded I-4 1.4 L/85 engine powering this Automatic transmission. Window Grid Diversity Antenna, Wheels: 17 x 7J Tornado Diamond Alloy, Trunk Rear Cargo Access. This Volkswagen Jetta Features the Following Options Trip Computer, Transmission: 8-Speed Automatic w/Tiptronic -inc: Remote Start, Torsion Beam Rear Suspension w/Coil Springs, Tires: 205/55R17 All Season, Strut Front Suspension w/Coil Springs, Steel Spare Wheel, Single Stainless Steel Exhaust, Side Impact Beams, Side Curtain Protection Curtain 1st And 2nd Row Airbags, Seats w/Leatherette Back Material. Visit Us Today For a must-own Volkswagen Jetta come see us at Sherwood Park Volkswagen, 2365 BROADMOOR BLVD, SHERWOOD PARK, AB T8H 1N1. Just minutes away! This Volkswagen Jetta delivers a Intercooled Turbo Regular Unleaded I-4 1.4 L/85 engine powering this Automatic transmission. WINTER PACKAGE -inc: Washer Fluid Level Indicator, Heat-Insulating Glass Windshield, heated lower wiper section, Leather-Wrapped Heated Steering Wheel Multi-function, Heated Front & Outer Rear Seats, TITAN BLACK, LEATHER SEATING SURFACES, PURE WHITE. This Volkswagen Jetta Comes Equipped with These Options DRIVER ASSISTANCE PACKAGE -inc: Adaptive Cruise Control, stop and go, Light Assist (Automatic High Beam Control), Blind Spot Detection w/Rear Traffic Alert Include lane assist, Front Assist w/Autonomous Emergency Braking , Window Grid Diversity Antenna, Wheels: 17 x 7J Tornado Diamond Alloy, Trunk Rear Cargo Access, Trip Computer, Transmission: 8-Speed Automatic w/Tiptronic -inc: Remote Start, Torsion Beam Rear Suspension w/Coil Springs, Tires: 205/55R17 All Season, Strut Front Suspension w/Coil Springs, Steel Spare Wheel. Stop By Today Treat yourself- stop by Sherwood Park Volkswagen located at 2365 BROADMOOR BLVD, SHERWOOD PARK, AB T8H 1N1 to make this car yours today! This Volkswagen Tiguan delivers a Intercooled Turbo Regular Unleaded I-4 2.0 L/121 engine powering this Automatic transmission. Wireless Streaming, Window Grid And Roof Mount Diversity Antenna, Wheels: 17 Tulsa Alloy. This Volkswagen Tiguan Comes Equipped with These Options Wheels w/Silver Accents, Valet Function, Trip Computer, Transmission: 8-Speed Automatic w/Tiptronic, Transmission w/Driver Selectable Mode, Tires: P215/65R17 All-Season, Tailgate/Rear Door Lock Included w/Power Door Locks, Systems Monitor, Strut Front Suspension w/Coil Springs, Steel Spare Wheel. Visit Us Today Test drive this must-see, must-drive, must-own beauty today at Sherwood Park Volkswagen, 2365 BROADMOOR BLVD, SHERWOOD PARK, AB T8H 1N1. This Volkswagen Golf Alltrack delivers a Intercooled Turbo Regular Unleaded I-4 1.8 L/110 engine powering this Automatic transmission. TITAN BLACK, VIENNA LEATHER SEATING SURFACES, DRIVER ASSISTANCE PACKAGE -inc: Adaptive Cruise Control, Park Assist, Park Distance Control (PDC), Front Assist w/Autonomous Emergency Braking, Lane Assist, DEEP BLACK PEARL. This Volkswagen Golf Alltrack Features the Following Options Wheels w/Silver Accents, Valet Function, Trip Computer, Transmission: 6-Speed DSG Automatic w/Tiptronic, Transmission w/Driver Selectable Mode and Oil Cooler, Tires: 18 AS, Tailgate/Rear Door Lock Included w/Power Door Locks, Systems Monitor, Strut Front Suspension w/Coil Springs, Steel Spare Wheel. Visit Us Today Test drive this must-see, must-drive, must-own beauty today at Sherwood Park Volkswagen, 2365 BROADMOOR BLVD, SHERWOOD PARK, AB T8H 1N1. This Volkswagen Golf boasts a Intercooled Turbo Regular Unleaded I-4 1.4 L/85 engine powering this Automatic transmission. Wheels: 17 x 7J Karlskoga Alloy, Wheels w/Silver Accents, Valet Function. This Volkswagen Golf Features the Following Options Trip Computer, Transmission: 8-Speed Automatic w/Tiptronic -inc: sport mode, Tires: 225/45R17 91H AS, Tailgate/Rear Door Lock Included w/Power Door Locks, Systems Monitor, Strut Front Suspension w/Coil Springs, Streaming Audio, Steel Spare Wheel, Speed Sensitive Rain Detecting Variable Intermittent Wipers w/Heated Jets, Single Stainless Steel Exhaust. Stop By Today You've earned this- stop by Sherwood Park Volkswagen located at 2365 BROADMOOR BLVD, SHERWOOD PARK, AB T8H 1N1 to make this car yours today!